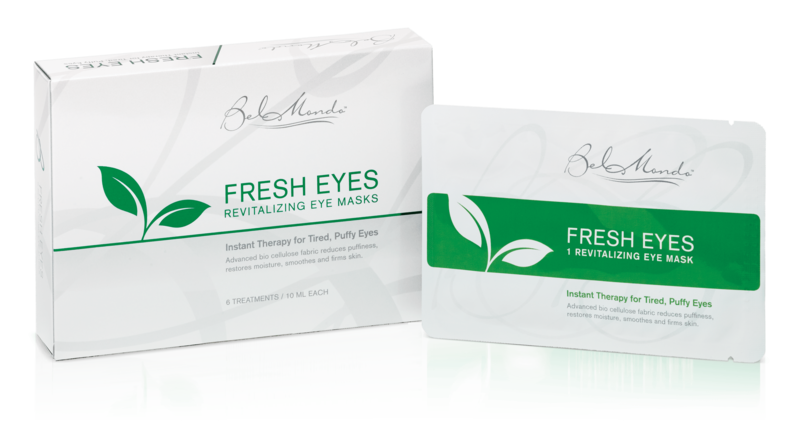 Fresh Eyes is Bel Mondo’s multi-purpose under eye mask that delivers instant therapy for the entire eye zone. It is made from the same advanced fabric used in our full facial masks, bio cellulose. You will absolutely love the cool, soothing texture of Fresh Eyes, especially following a long night or a long flight. We formulated Fresh Eyes with multiple peptides and anti-inflammatories to promote drainage, reduce swelling, and firm skin tone. One Fresh Eyes treatment helps restore a more youthful appearance in about 15 minutes, and provides a great beauty boost before any special event. Nearly all of us have concerns about the appearance of the skin around our eyes. Puffiness. Fine lines. Sagging. Discoloration. 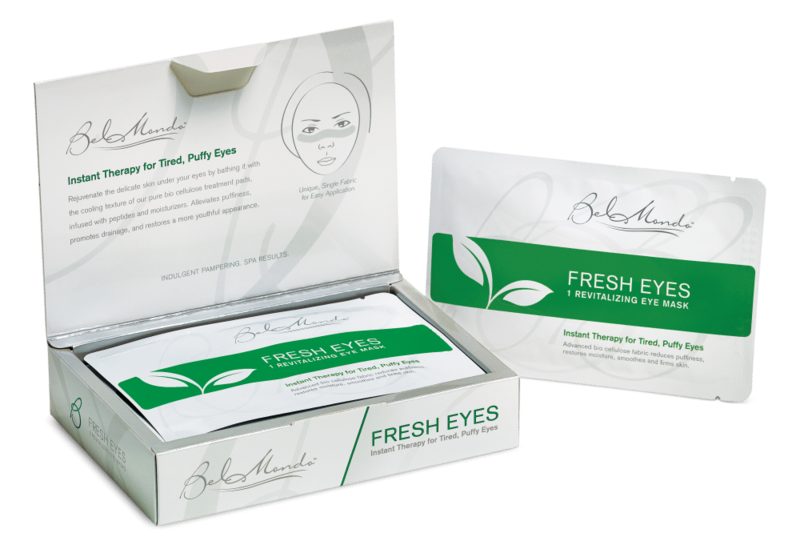 Fresh Eyes is Bel Mondo’s multi-purpose under eye mask that delivers instant therapy for the entire eye zone. It is made from the same advanced fabric used in our full facial masks, bio cellulose. You will absolutely love the cool, soothing texture of Fresh Eyes, especially following a long night or a long flight. We formulated Fresh Eyes with multiple peptides and anti-inflammatories to promote drainage, reduce swelling, and firm skin tone. One Fresh Eyes treatment helps restore a more youthful appearance in about 15 minutes, and provides a great beauty boost before any special event. Fresh Eyes is also easier to use than other eye mask treatments. That’s because Fresh Eyes is produced as a single fabric that can be easily positioned to provide full, secure coverage under both eyes –including the sides of the eyes where wrinkles are common. 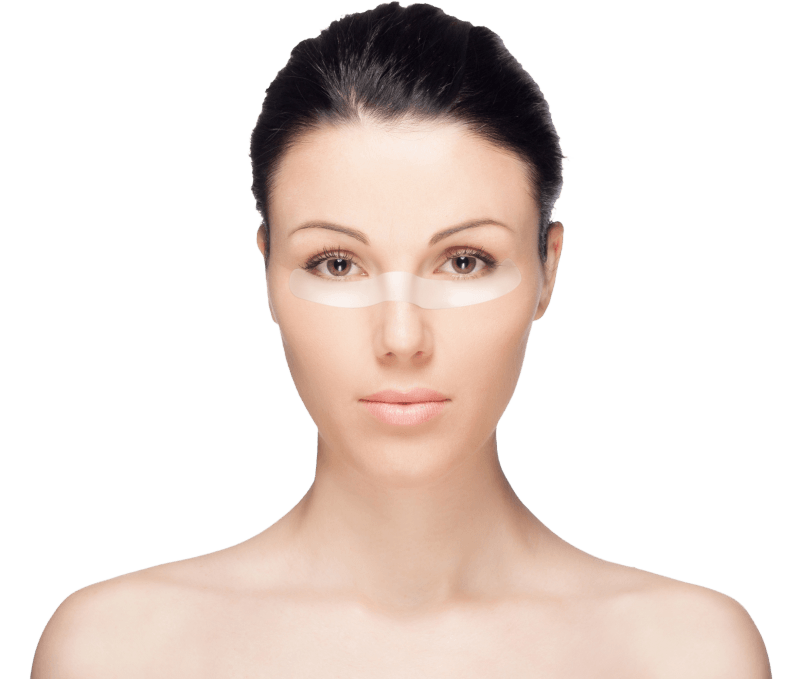 No more fumbling with a pair of thin, small eye masks that is hard to handle and apply. Cleanse face. Remove protective layers from both sides of mask. Mask is a single fabric with a unique “W” shape. Apply center of fabric across bridge of nose, and then smooth it out tightly under both eye zones. Remove after 20 minutes. If residue remains, massage gently. Suitable for all skin types. For best results use three times per week. Cautions: Avoid direct contact with eyes. Rinse immediately if irritation occurs. Discard after single use. Keep away from children. Store at room temperature. I tried these yesterday and my eyes felt so much better! They had been itchy and red from allergies I guess so I put these on in the morning and they felt cool and less strained! Going to try the face mask tomorrow.